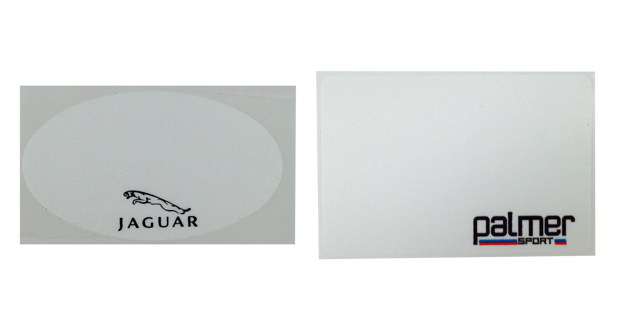 Fabric labels offer a sophisticated sticker option with a quality feel. 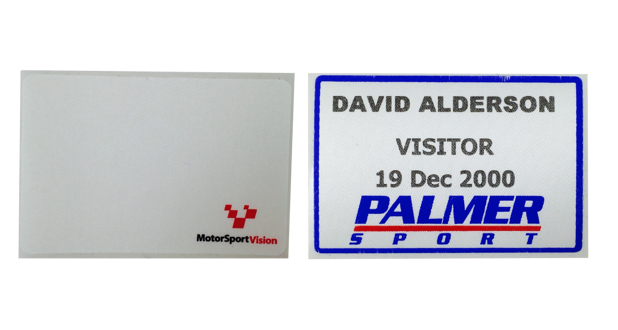 They are ideal for visitor badges and conferences and can be custom printed for the individual user or hand written on. Also suitable for clothing and anything where a textured fabric finish is desirable. Minimum quantities start at 1000. Personalised print in up to seven colours. Most thermal printers are compatible with these labels for onward variable printing, but it is advisable to check. 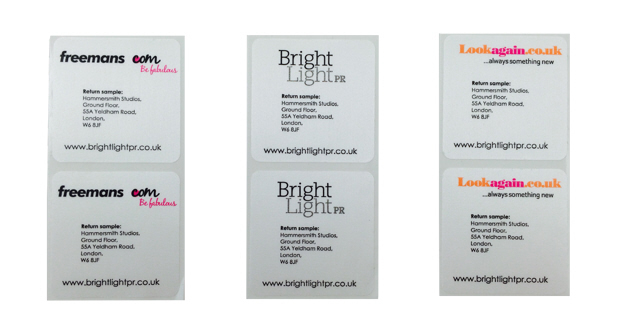 You may for example want to print a delegates name and date on your branded label. If you can liaise with us regarding the function of the label it will help us ensure we supply a label fit for purpose in terms of the overall look and budget as well as the functionality. The label may need a permanent or semi permanent adhesive, the shape or size may be critical or it may need to be printed again at your organisation or hand written on. Tell us what the label will be used for so we can in turn best advise and meet your requirements. Is the label for a bag seal, bottle, box, jar, hanger, cosmetic product, clothing, food packaging or all manner of promotional products, signage and events? Fabric labels are supplied in a rayon satin fabric as standard. Packing: The labels and stickers can be supplied on sheets, rolls or fanfold packs. Please advise which is most suited to your needs.